If you are moving from the UK to Ireland or anywhere else in the Eurozone you will probably need to exchange currency . You might be planning to buy a property or may need have money available for renting and buying furniture etc. Opening a Euro bank account in Ireland is your first step. You will usually need an Irish address to open a bank account there – but some banks may allow you to open an account while you are still living elsewhere. 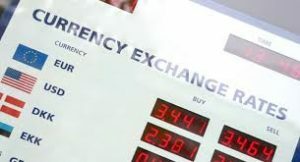 You might assume that you have to carry out currency transfer through your own bank – but they might not give you the best exchange rates and they will probably also charge a fee and maybe commission too. Cheaper alternatives to your bank are one of the specialist foreign exchange companies. Their exchange rates will usually be better than the major banks. You just need to register your details with them – and provide some proof of identity. On paper – the rates may look very similar – but a difference in the exchange rate of just 1 pence on a £100,000 Pounds transaction would save you a £1000 Pounds – not bad for a few minutes effort. Why let the banks have it? If you prefer – you can call the Irish Links contact: Ernie Enver on 0044 207 740 0000 or if you are calling from Ireland you can save on phone charges and dial a Dublin number 01 4311344 . Ernie will be able to help you with all your currency exchange questions. Mention “Irish Links” when you call. For large amounts – we advise you try 2 or 3 of these companies and see who will give you the best rate. Let them know what the others have offered and see if they can beat it. Of course – check with your own bank too – to see what rate they will offer you first. Remember to calculate the total amount after conversion – including any fees they add. If you just compare the basic exchange rates – the difference will look really small and you may feel it’s not worth the hassle – but when you see the total amount you will get after the exchange – the difference may run into several hundreds of pounds – enough to buy some furniture or to cover your removal costs! Tip – if you are moving to Ireland from the UK don’t close all your old UK bank accounts or hand in your old credit cards when you move. You should still be able to use them – just inform the bank and credit card company of your new address. They should not have a problem with you moving to or from Ireland. The sterling accounts will come in handy for paying in any sterling you might recieve or for paying any remaining UK bills etc. Also – they will be useful for any visits back to the UK or Ireland . In the short term it is possible to use your UK cashpoint card at most Irish ATMs to withdraw money from your UK account – but the exchange rates wouldn’t be that good and there may be ATM fees. Also you can use UK credit cards to buy goods at most shops in Ireland – with no problem. But again this would only be for short term spending because of the transaction charges and poor exchange rates from Sterling to Euro.